Back on Wednesday night, the Pens fought all the way back to tie the game only to have Albany steal it away just seconds later. It couldn't possibly happen again in Game 2, right? The River Rats again found a way to beat the Pens 3-2 on a Jamie McBain goal only 68 seconds after Konstantin Pushkarev tied it up. Pushkarev scored at 14:50 and once again the game looked overtime bound, but the Rats continued their knack of answering quickly late when Jamie McBain beat goaltender John Curry for the late go ahead goal and eventual game winner. This trend of losing momentum has been a regular event for the Pens of late. They have difficulties getting refocused quickly, and are paying for it dearly. Other Albany goals were scored by Nick Dodge and Chris Terry, while Eric Tangradi had the lone other tally for Wilkes Barre. Curry played rather well making 29-32 saves after unexpectedly getting the start because of primary goaltender Brad Theissen's emergency callup to Pittsburgh. (Brent Johnson had the flu, so Theissen was needed to back up Fleury. 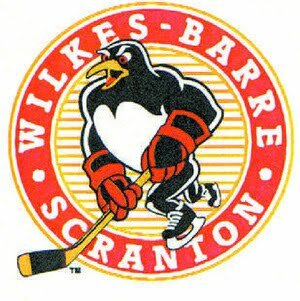 It is unknown if he will return for Sunday's game) This is not the "be all and end all" game for Wilkes Barre, although they now find themselves in an uphill battle. It is imperative that they win games 3 and 4 on home ice and tie the series back up. Game 3 (and the Pens first home playoff game) is Sunday afternoon at 3:05.